Endodiag vision is that we can radically change the lives of millions of women suffering from endometriosis through earlier and easier diagnosis and radically improved disease management. We develop new endometriosis diagnostic solutions for healthcare professionals. These solutions are intended to contribute to a better endometriosis diagnosis, a more personalized patient management, more efficient treatment options and fertility strategy. Endometriosis is caused by tissue, that usually lines inside the uterus, developing outside the uterus. Endometriosis is often misdiagnosed or remains undiagnosed for a long period of time. Currently only the removal of endometriosis lesions via surgery and their lab analysis allows the diagnosis with certainty. The average diagnosis delay is about 7 to 11 years. Endodiag develops a non-invasive and reliable diagnostic test based on disease-specific biomarkers circulating in the blood. Such a test will allow physicians to prevent disease progression and potentially safeguard fertility. 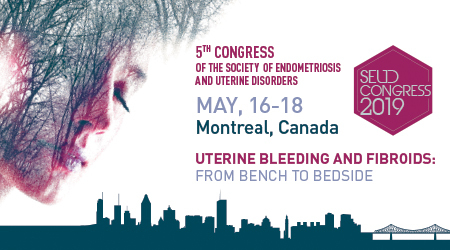 Each patient endometriosis is unique so should be its treatment. This is why we are developing a solution to map the patient disease. This will help physicians to assess the best treatment and fertility strategy for each patient. Current therapies only address the symptoms and not the root causes. As a result, disease recurrence is frequent. There is a considerable need for novel targeted therapies without side effects, allowing pregnancy during treatment and prevent disease recurrence. Endodiag partners with teams working specifically on new drug development by bringing its know-how and technology.